Forget about your traditional indoor climbing centre, located within Billingham Forum, GoClimb is the leading innovation in climbing and is all about fun whatever your age or ability. 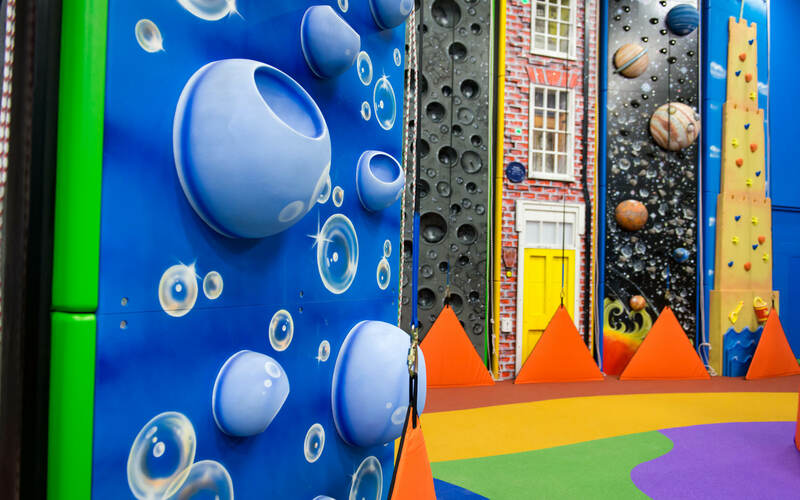 Offering vibrant, creative designs, each wall presents its own unique challenge and features themed elements to help you reach the top. Picture walking on the surface of the moon, twisting your way through Tetris or ice picking your way up a frozen castle and you might get somewhere near what we have to offer. 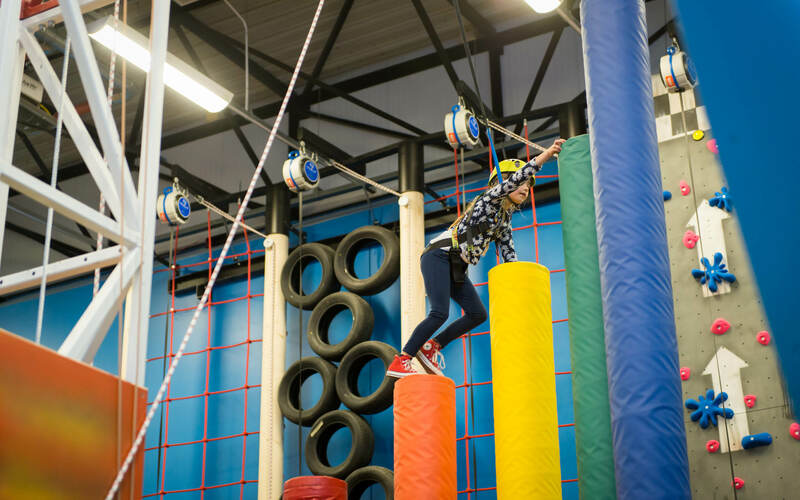 GoClimb is a truly imaginative concept for all of the family to enjoy time and time again. 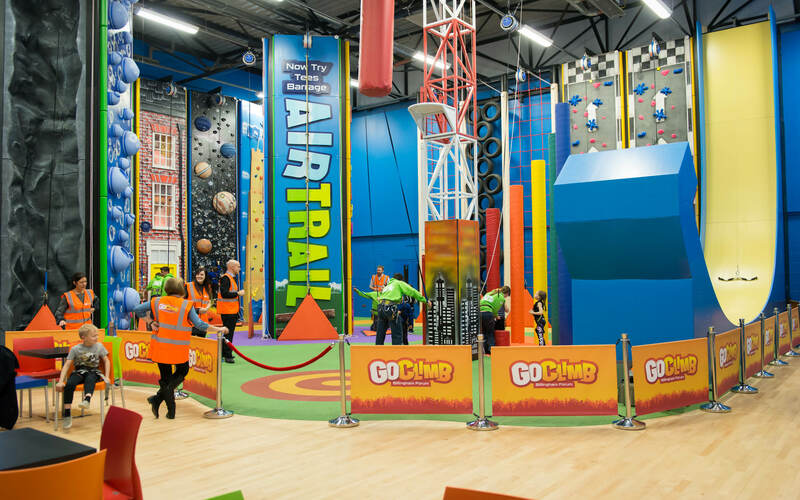 GoClimb is located within Billingham Forum in Billingham town centre and is an exciting addition to an already impressive selection of sport and leisure activities. Billingham Forum houses the north east’s premier Ice Arena offering a range of sessions including our popular Avalanche Foam Parties and Full Moon UV Parties and is also home to a 25m swimming pool, state of the art gym and fitness studios, the PlayBarn soft play area as well as more traditional sports like Squash and Badminton. 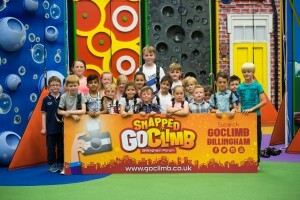 Take a virtual tour of GoClimb…..
Billingham Forum and GoClimb are owned and supported by Stockton-on-Tees Borough Council and are managed by Tees Active Limited. GoClimb operates alongside Partners For Change, see out Access For All guidelines here.